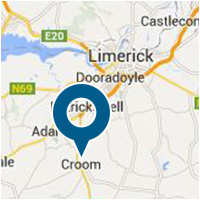 Croom Precision Medical is dedicated to delivering the highest quality medical components and assemblies to our customers. Our vast portfolio covers a range of materials which facilitate the medical device sector. We continue to supply and build long lasting relationships with the medical industries leading companies with high precision and quality Orthopaedic Implants and Instruments. Specialising in Contract Manufacturing, Precision Components and Part Finishing, Croom Precision Medical strives to collaborate with clients as early as possible in order to deliver the most cost effective solution. Our team members pride themselves on the Quality of components produced at CPM. Throughout the production process, our validated QMS system ensures the traceability of all raw materials used. In response to the critical requirements of the FDA and the highly regulated medical implant manufacturing industry, Croom Precision Medical manufactures in an extremely high-technology environment. In addition to our experienced and highly-trained staff we utilise cutting-edge technology and state-of-the-art equipment and machinery to deliver high quality products with maximum efficiency.